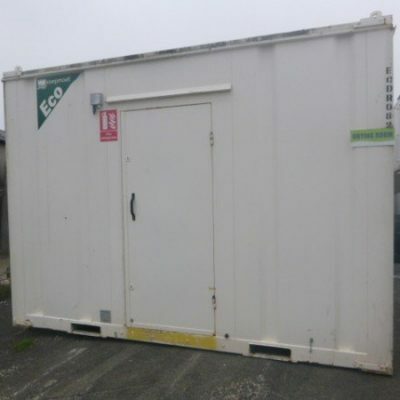 This Container Cabin is a 12ft x 9ft Used Anti Vandal Portable Canteen with Toilet . 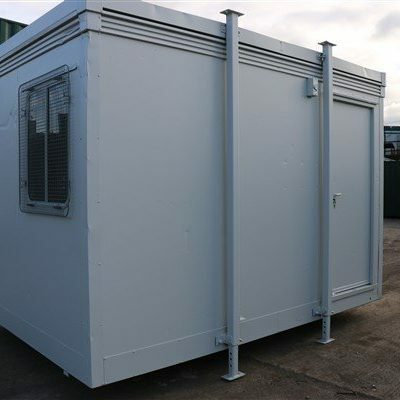 The unit is fitted with a Toilet in one side with a sink and hadwash facility and a fully fitted canteen with sink, worktop, and water heater on the other side. 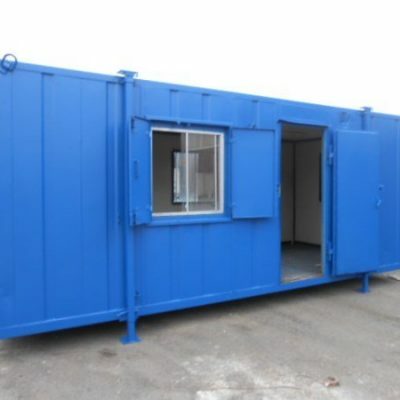 Nice Compact Portable Canteen for premises with not much space to work with. Steel anti vandal jack leg unit. 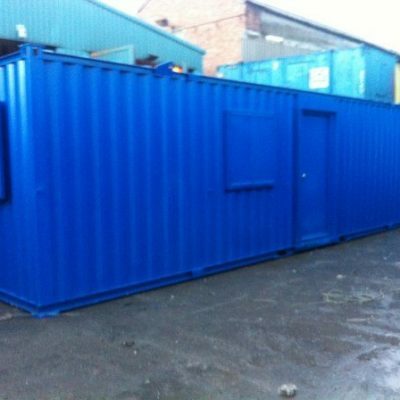 Fitted with three windows with steel shutters. Fitted with toilet window with steel guard. 1 x Single toilet with sink and hand-wash.
Canteen with sink, water boiler and work top. Unit has full lighting, heating and sockets.